She wore a nice and body-con fitting Asos Oh My Love Midi in Snake Print dress for only $58; I am a big fan of Asos clothing especially their midi dresses! With this extravagant and breath-taking dress she paired it up with a Bright Poppy BCBG Blazer ! 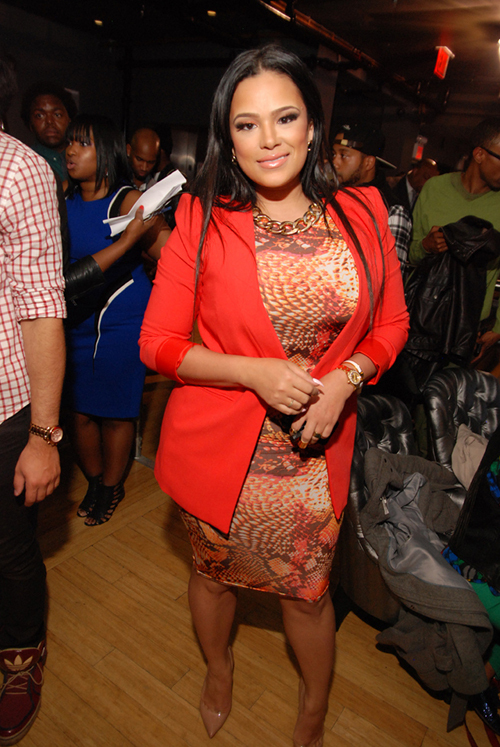 If you like Emily B's look visit Asos and BCBG.com for more outstanding looks!